Two great film directors come under a very different spotlight, as Wes Anderson curates an exhibition at the Kunsthistorishes Museum in Vienna with his partner, author and illustrator Juman Malouf, while David Lynch presents his own artwork at the Bonnefantenmuseum in Maastricht. A nderson, (Rushmore, 1998 and The Grand Budapest Hotel, 2014) is known for his whimsical, otherworldly aesthetic. Together with Malouf, he has selected more than 400 objects – ranging from Old Master paintings to historical musical instruments – from all 14 of the museum's collections, many of which have never been shown in public before. 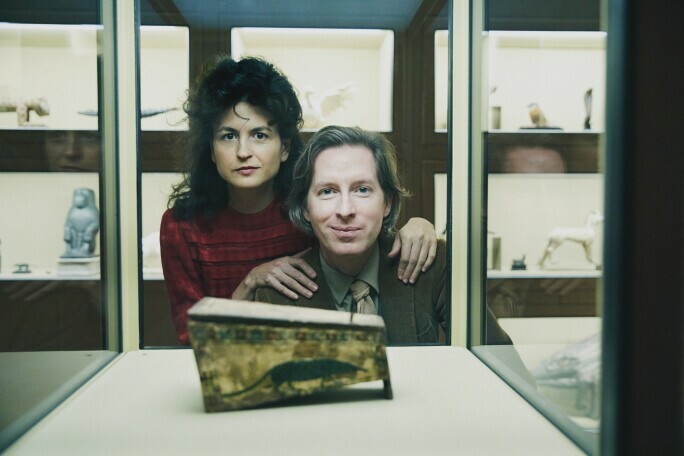 Wes Anderson and Juman Malouf at the Picture Gallery, Kunsthistorisches Museum Vienna. Their response to the collection is "extremely intuitive," says Jasper Sharp, curator of modern and contemporary art at the Kunsthistorishes Museum. "It's about that sucker punch that an object gives you in the heart and in the stomach and in the balls when you look at it." David Lynch, Six Men Getting Sick, 1967. Film still. Courtesy ABSURDA. Lynch (Blue Velvet, 1986, Mulholland Dr., 2001, Twin Peaks, 1991-2017) trained as a painter and has maintained a visual art practice throughout his career. His show features around 500 works from the past 50 years, spanning painting, drawing, film, photography and printmaking. Curator Stijn Huijts, artistic director at the Bonnefantenmuseum, wants to provide fresh insight into Lynch's "dark and mysterious" style, while showing how the director "moves organically and fluently between different media and disciplines." 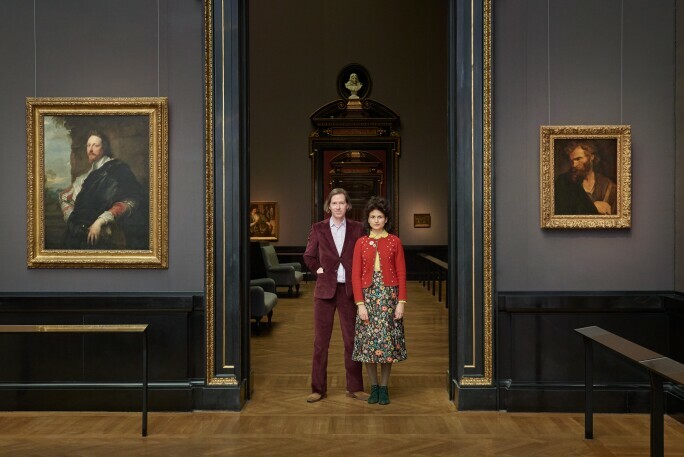 Wes Anderson and Juman Malouf at the Picture Gallery, Kunsthistorisches Museum Vienna. Courtesy of the Kunsthistorisches Museum. These two exciting European exhibitions, one displaying the art of an American filmmaker and the other curated by one, offer new perspectives on the close relationship between film and the visual arts. 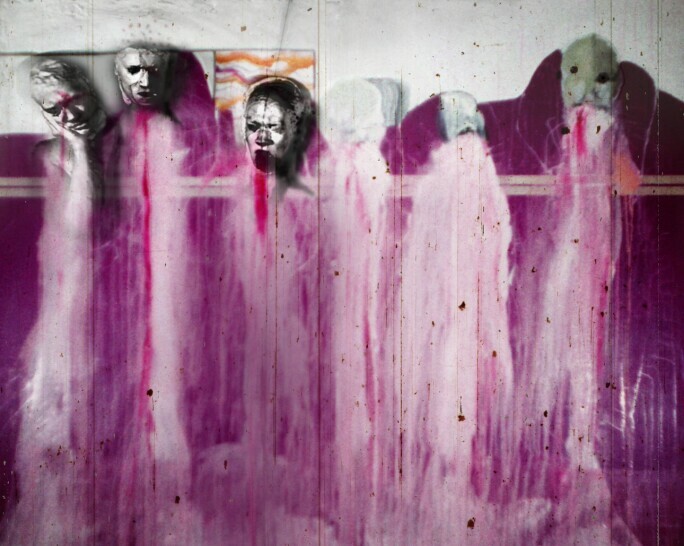 For Lynch, the line between painting and film has always been ambiguous. He first thought of working in film while working on a painting in his early twenties, when he "heard a little wind and saw a little movement," prompting him to make an animation of the painting. This sudden impulse ultimately served as the gateway to his entire cinematic career. Similarly, the precise compositions of Wes Anderson's frames and his highly stylized production designs are often described as 'painterly'.